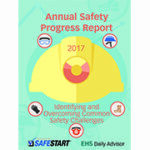 This report will help you evaluate pay for several safety and environmental job titles. EHS managers can find the information to keep their departments competitive and efficient—an easy way to guarantee you are paying the right amount to retain hard-to-fill positions but not overpaying on others. Threats to employee safety are an everyday occurrence—and PPE is a vital line of defense. 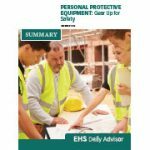 In this survey report, we take a look at how managers address protective equipment, including proper distribution and training for workers. Because the U.S. Occupational Safety and Health Administration (OSHA) cannot inspect all 7 million workplaces it covers each year, the Agency seeks to prioritize its inspection resources. In this year’s report, we have provided individual charts for the top 10 violations for both general industry and construction, with last year’s ranking in the last column.